St. Augustine Beach Florida has an abundance of beautiful homes, waterfront properties and oceanfront condominiums. The down-home atmosphere of St. Augustine Beach mixed with the amenities of the big-city life; make it an excellent place to live. We offer a wide range of real estate for sale at St Augustine Beach; waterfront homes, beach front condos, golf communities, vacant land, lots, new homes, patio homes, country cottages, and commercial properties. Saint Johns County Florida offers excellent opportunities when it comes to real estate investments. 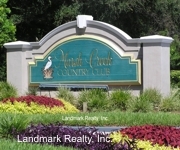 St. Augustine Beach’s only private country club community is Marsh Creek. It has over 800 acres on Anastasia Island and borders the Intracoastal Waterway. Whether you are in the market for a house for sale at St. Augustine Beach or a condo for sale at St. Augustine Beach Florida we are here to help.